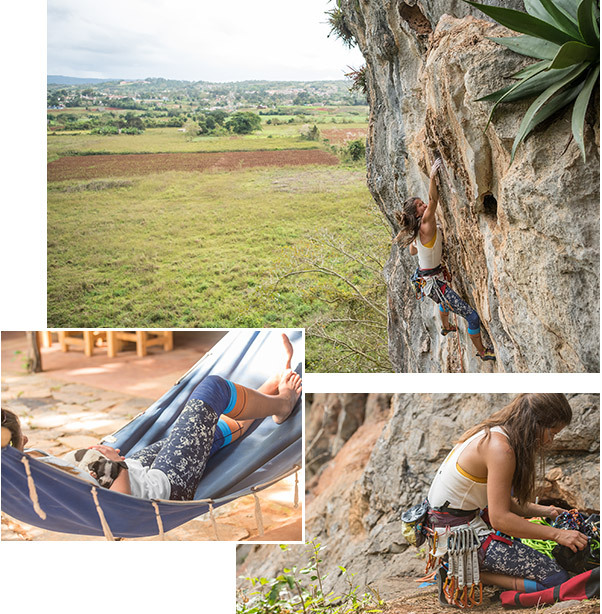 Fueled by coconut water and the promise of old friends and great climbing, T9 photographer Freya Fennwood and pals spent three weeks crisscrossing the island of Cuba. 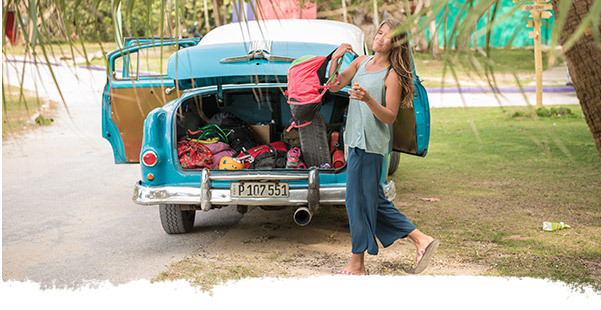 With Havana as a starting point, the crew hopped on local buses and grabbed taxi colectivos (think casual carpool) to explore gnarly climbing crags, grab great beach time, and meet some truly amazing women. 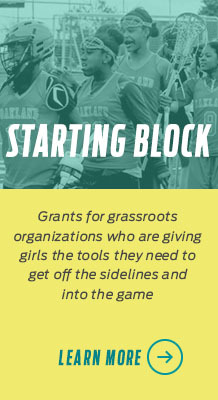 Three weeks on the road meant the girls had to pack smart, and the hot, humid, rainy weather meant lightweight and wicking, roll em’ up and shake em’ out pieces were on everyone’s list. 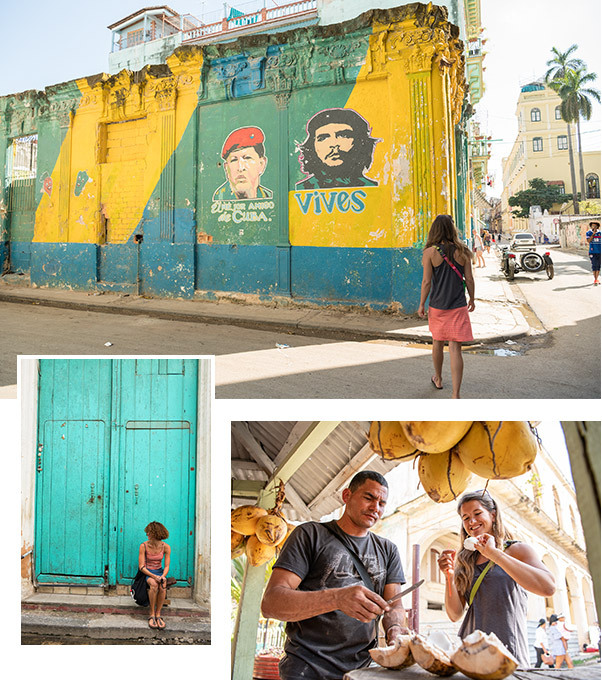 Check out our favorite spots (and our favorite travel pieces) in Cuba. Havana’s charm wasn’t lost on this crew—days were spent getting lost on purpose, finding cool old doors in back alleys, and falling in love with nearly every vintage car they walked past. As newly minted coconut water groupies, the found their favorite coconut shack in a former garbage dump. No, really: through a partnership with the Cuban government, a local Havana man had transformed a garbage dump into a plant nursery and coconut shack. You could sip cool coconut water while perusing local plants growing in recycled beer cans, or kick back and relax with your drink in an old bathtub. Cuba and climbing have a bit of a complicated relationship—while it’s not straight-up illegal, Cuban climbers operate in a bit of a gray area, and, as a deterrent, the government bans the sale of climbing equipment nationwide. Of course, this doesn’t do much to stifle the vibrant Cuban climbing culture. The T9 girls got a taste of climbing at several spots around the island: at their favorite secret spot, a huge rock wall rose straight out of the farmland; a farmer came out to greet climbers and open his gate for them while his wife served coffee. The girls also spent plenty of post-climb time at Raoul’s, where the coconut water, mojitos, and puppy snuggles were totally on point. Vacation’s not a vacation without some major chill time. The crew hit up the beach and lounged around the picturesque little beach town of Gibara on the southeastern coast of Cuba. Of course, they couldn’t resist getting their sweat on in few pickup soccer games with the local guys. Full-time adventure seeker and outdoor photographer Freya Fennwood travels the world with a rotating crew of friends, models, and cameras in tow. 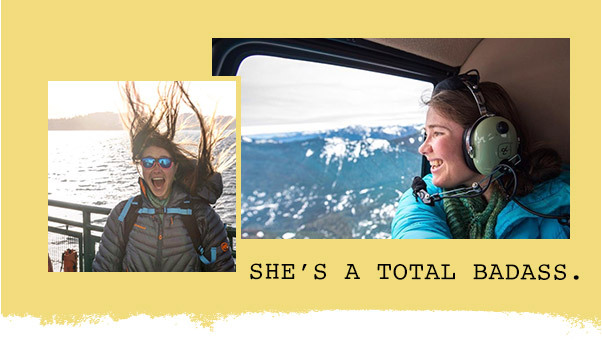 She’s an avid sea kayaker, rock climber, snowboarder, surfer, mountaineer, cyclist and slack liner, but no matter what, she’s always looking for her next best shot. Check out more of her photography at www.fennwoodphotography.com. 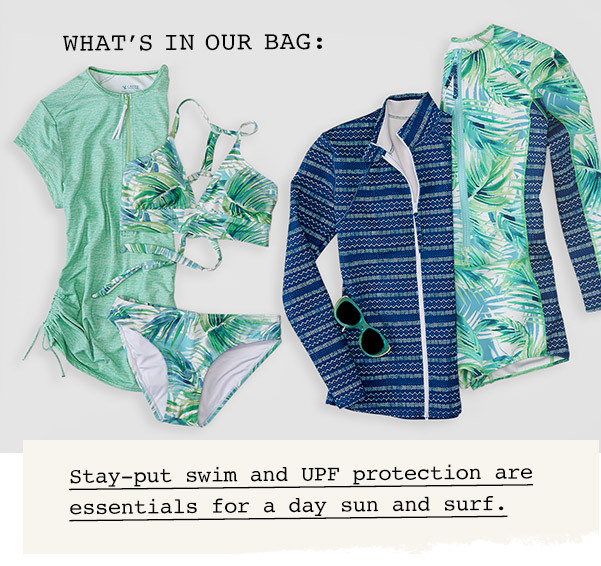 Ready to pack your own bags? 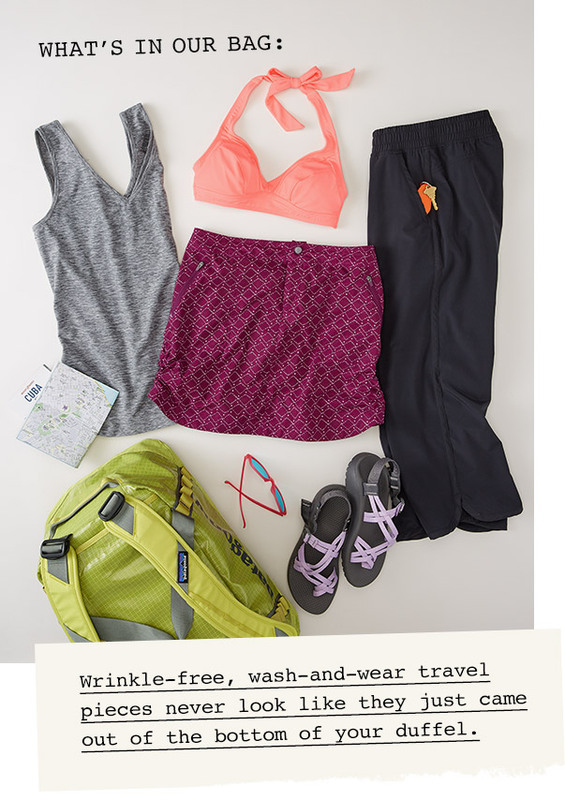 Check out tips from our T9 travel experts for picking the best hot weather travel clothes for women.